IMG_0789, originally uploaded by odelapaz. 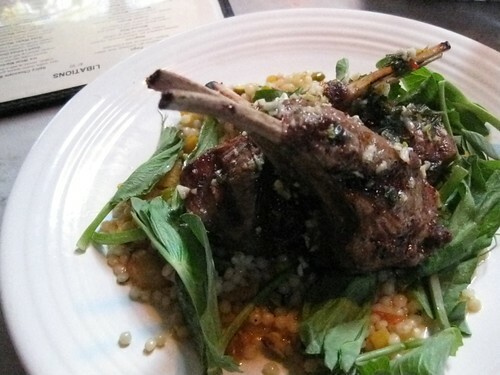 Mizuna's Rack of Lamb over seasoned orzo. Delish.